This case study is of a 67 year old man who was suffering with neck pain, arm numbness, and a frozen shoulder (adhesive capsulitis). The neck pain and right arm numbness had been there for 2 years and the left shoulder had been frozen for 20 years. This Chiropractic patient regained full shoulder motion and had almost no neck pain in one month of Chiropractic care! Imagine if he had received Chiropractic care earlier? Imagine what his life would be like if he wasn’t suffering for 20 years? 2 years? It is great to see these case studies in the new research as it highlights a real patients experience and impact on their life. I frequently see patients in Mississauga with frozen shoulder, neck pain, and arm numbness respond well to Activator Methods Chiropractic care. 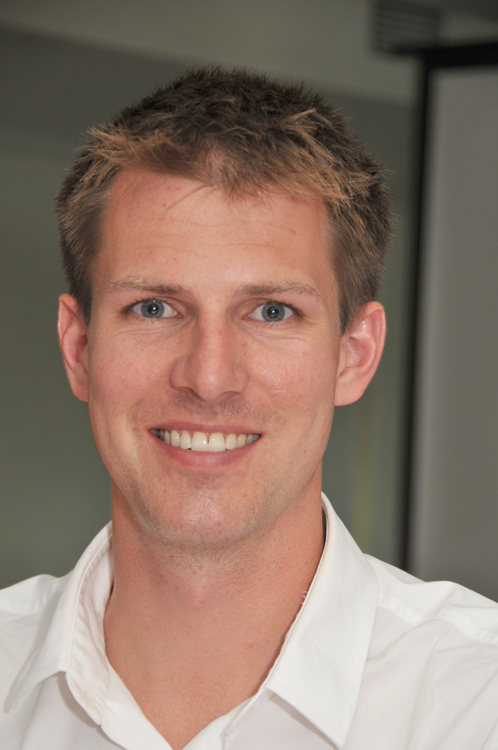 The nice thing with these case studies is that you can share the patient encounter with the World. 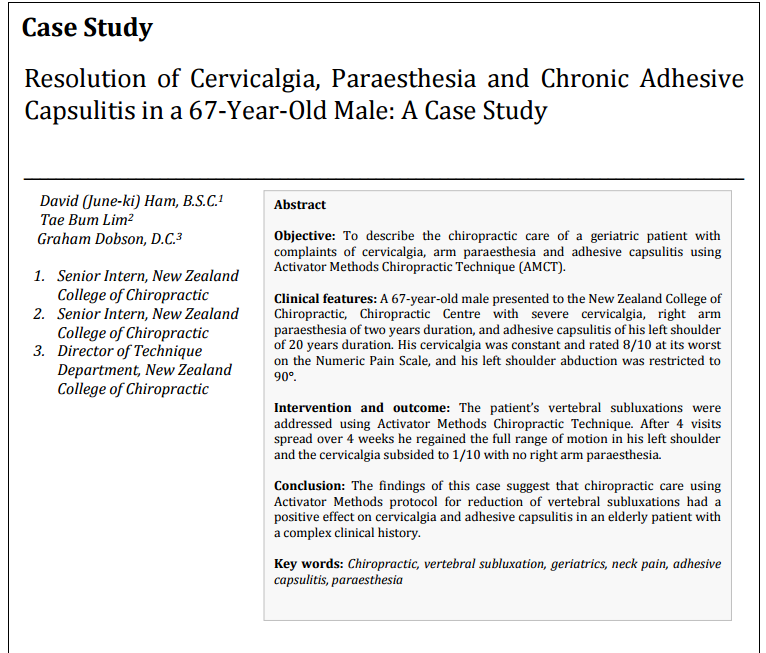 This particular study in the Annals of Vertebral Subluxation Research happened in New Zealand at the New Zealand College of Chiropractic, and I am sharing it with my Chiropractic patients in Mississauga – Amazing. What Chiropractic Technique was used in this research study? 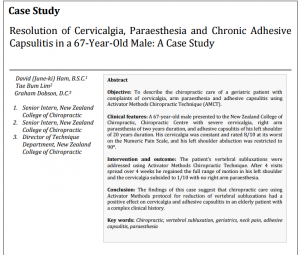 The Chiropractic technique that was used in this study was the Activator Methods Chiropractic Technique. This is the Chiropractic technique that I use in my Mississauga office for my patients. It is a great way to specifically adjust the spine while remaining gentle.